LegalDocsA2Z provides cost-efficient legal services in Family Law and Estate planning. Those two areas of law are frequently overlapping because if you file a divorce and you have Wills, Living Trusts, Powers of Attorney, Advanced Health Care Directives or other Estate Planning tools, you need to consider changing a provisions related to your spouse. 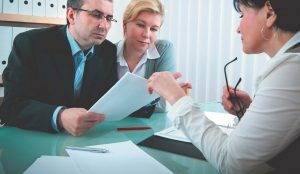 Unless you take an action, Wills, Living Trusts, Powers of Attorney and Advanced Health Care Directives remain in effect while a divorce is in process. If one spouse dies before a divorce is final, the courts may treat the parties as if they are married. ( see section 6122 and 5040 of Probate Code). While your divorce is pending, Wills, Living Trusts, Powers of Attorney, Advanced Health Care Directives or other Estate Planning tools remain in effect. If one spouse dies before a divorce is final, the courts may treat the parties as if they are married. Flat-fee Uncontested Divorce $499 without children and $599 with children (plus filing fees paid to California court). You will be happy with our efficient divorce process approach and fast finalizing your divorce. Family law and Estate Planning legal services in Orange County is the most respectful provider for medium and low income clients who does not qualify for public low income services. Unlike other legal services, our work with clients in a manner the clients can afford. He have a net work of experienced paralegals who are working under the supervision of attorneys and can provide for you are great legal services in documents preparation for divorce or estate planning. If you need a simple revocable trust our paralegals can set it up for you using advanced software. 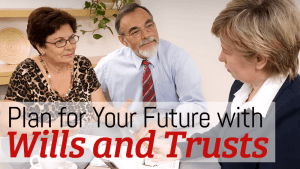 Our attorney will review your trusts and other estate planning documents. Our legal services also include Mediation. If you have difficulties to come to mutually beneficial agreement, our divorce mediator will help you to reach an agreement in any issue(s) you have the disagreement. Our flexible family law system also allows us to fit your budget. We believe in your intelligence to handle your divorce as a business and in many instances we can guide you to move forward yourself.